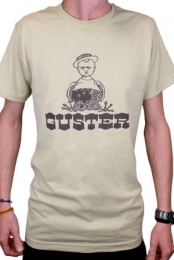 Sawyer’s new Hunter Green colored Jumbo sized Tote is made from 10 oz 100% Cotton. 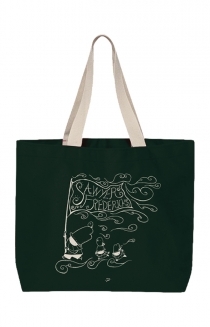 The Tote has Sawyer’s Storm Bearer design screen printed on the front in natural colored ink, with Natural color 25” long handles. Sawyer’s Storm Bearer design was created by Artist and Author Jacob Oh., who lives and works in New York’s Adirondack Mountain Region. Sawyer commissioned Jacob Oh., a friend from his unschooling community, to create a design exclusively for Sawyer’s Merchandise Line. Jacob’s The Storm Bearer Design features mythical creatures running through a storm carrying a flag bearing Sawyer’s name. Jacob’s Storm Bearers are accompanied by tiny birds, with swirly clouds above them. The Storm Bearers waving flag has Sawyer’s name printed in Jacob’s own unique whimsically stylized text. Sawyer’s Storm Bearer Jumbo Tote is generously sized,19’w x 16” h with a 4” gusset. 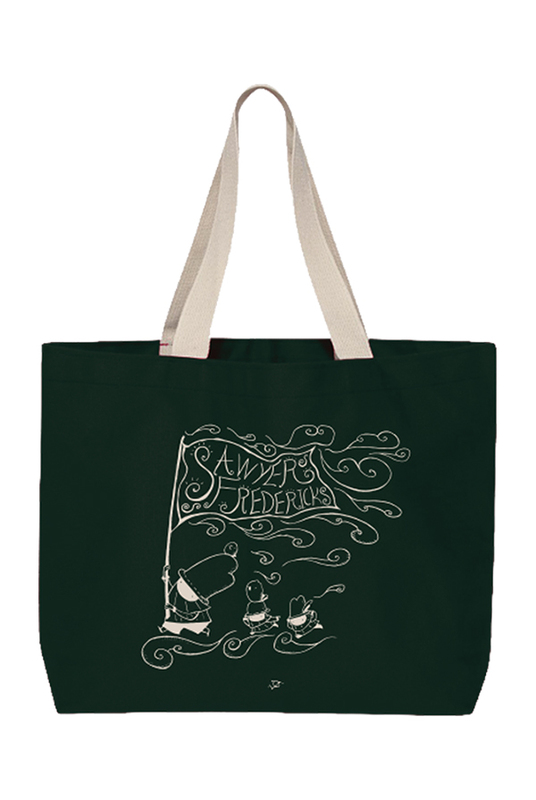 The Tote can be used for books, beach, groceries or perfect for a Vinyl Album or 2 with plenty of room for Sawyer’s Storm Bearer T-shirt or one of Sawyer’s sweatshirts. The Tote is sourced and made in the USA by EnviroTote of New Hampshire. EnviroTote is a family owned company dedicated to environmentally conscience manufacturing. EnviroTote is fully owned and operated by women.